Of Phalaropes, Ospreys and Monkeys. 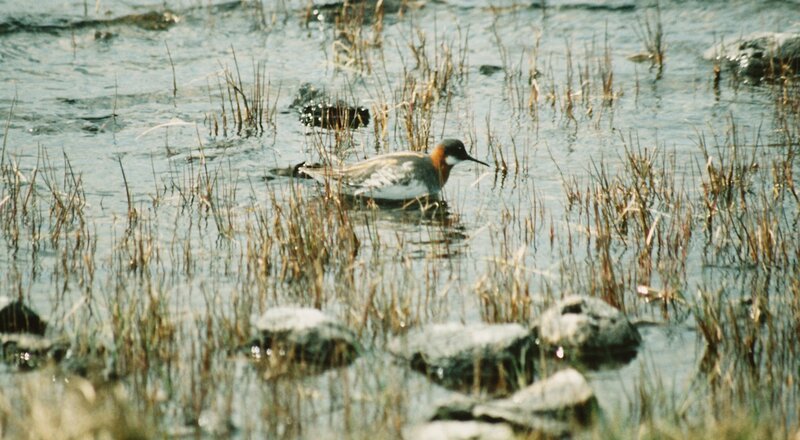 If you look up Red Necked Phalaropes in a good bird identification book you will find lots of interesting, unusual information. The male looks after the young, in this country it is only found in the far north and that it migrates south east towards the Arabian states. 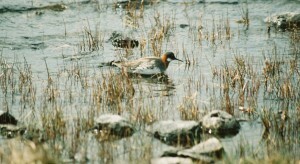 Recently, however, doubt has been cast on this last statement when thanks to a tiny 0.6 gm tracker a phalarope from Shetland was tracked to the Pacific Ocean via Iceland, Greenland and the eastern seaboard of the US. Likewise at the end of 2013 our information at the LDOP has been adjusted by the migration flights of Number 14 and 15. 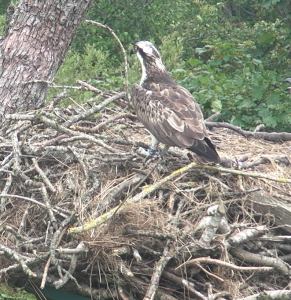 No longer can we say with certainty that our ospreys migrate to Senegal and Gambia. Number 14 as we speak is sitting at the southern end of the island of Bioko, Equatorial Guinea. We know this due to a small transmitter that he carries on his back. Interestingly enough he could be within sight of some of the rarest primates in Africa. The Preuss’s monkey, Western red colobus, the Bioko Drill are all endangered species living in the Luba Crater Scientific Reserve (Google it for more information). The Universities of Arcadia US and National University of Equatorial Guinea are involved with their study and preservation. Guess what they are using in their studies? You’ve got it GPS trackers. These trackers are apparently treated with waterproofing material because the location is so wet –it seems you can take an osprey out of The Lakes, but you can’t take The Lakes out of the osprey! 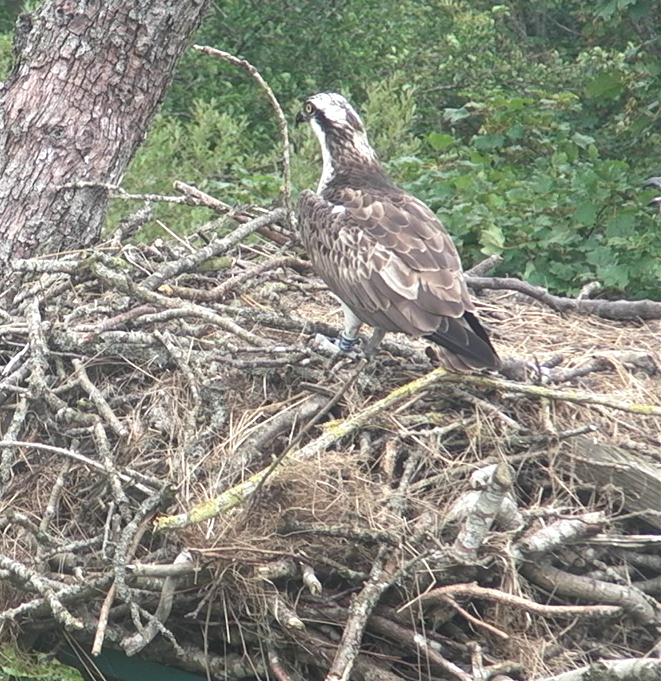 A Long time ago on a nest in Cumbria…..
A Happy New Year to all our followers. During these stormy winter days we thought a reminder of last summer could be appropriate and an opportunity to use a photograph instead of a map. Number 14 remains on the island of Bioko exploring!